Advantages and Disadvantages of MacBook Pro 2016, Buy or Not? The currently 13-inch MacBook Pro with Retina was refreshed last year but with no big differences, making 2016 MacBook Pro a more welcome update. This new MacBook Pro 2016 pairs with latest Skylake CPU, an OLED touch bar and Touch ID, USB-C ports, fresh new design and many more. What's new in the new MacBook Pro, any advantages and disadvantages of MacBook Pro 2016 you should notice before you make a buy? Here we list detailed pros and cons of 2016 MacBook Pro to help you learn the new Mac laptop. Like the last MacBook Pro with Retina, 2016 new MacBook Pro comes in 13 inches and 15 inches variants, featuring the resolution display, 2560 x 1600 for the smaller and 2880 x 1800 for the larger model. But 2016 MacBook Pro has an advantage of new design with thinner and lighter body. The new 13-inch MacBook Pro is 4mm thinner than its predecessor, and weighs 3 pounds, half a pound less than it did before, while the 15-inch comes in at under four pounds. Both models feature new OLED Touch Bar, flatter keyboard, USB-C and Touch ID. Top Three Must-have Tools for Mac - Make Tasks on MacBook Pro Faster! MacX Video Converter Pro - Free download Hollywood movies on MacBook Pro 2016 from YouTube, Vimeo, etc. 1000+ sites fast. The Touch Bar of the new MacBook Pro hits the headline. 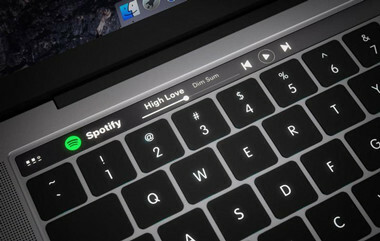 Unlike the previous keyboard in other Mac computers, an OLED touch-sensitive display named Touch Bar is located towards the top of the keyboard. 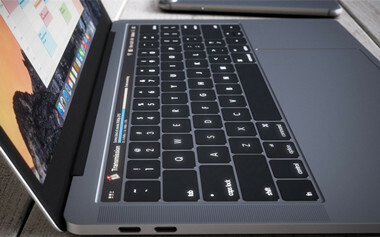 Being one of the killer pros of MacBook Pro 2016, the retina display bar replaces the keyboard's function keys with customizable, app-specific virtual buttons and responds to touch and gestures, which will give users specialized controls that correspond precisely to specific apps and thus speed up the workflow by dynamically changing keys to fit the running apps. Together with Touch ID integrated into the keyboard, this feature will be quite use to take advantage of macOS Sierra's new features. One of the biggest advantages of MacBook Pro 2016 lies in Apple's move from the fifth-generation Broadwell chips to Intel's sixth-generation quad-core Skylake processor. What benefits of 2016 MacBook Pro's will new processor deliver? Specifically, you will first-hand experience significant speed improvements and massive battery life increase. Skylake is as about 20 percent faster than the Broadwell chips in 2015 MacBook. Plus, Skylake also supports WiGig and WiDi short-range, high speed data transfer and wireless charging. 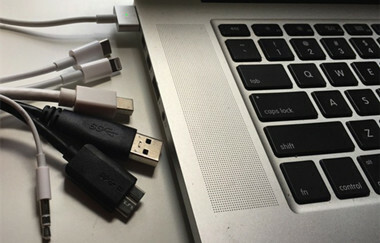 Another benefit of 2016 MacBook Pro that distinguishes it from other Mac is that the USB ports is the switch from MagSafe to single USB 3.1 type C port with Thunderbolts 3 for connectivity and power. The Thunderbolts 3 allows up to 40Gbps connectivity, namely twice that of Thunderbolt 2, and supports more protocols. It can well handle 4K and 5K monitors. Besides, Thunderbolt 3 makes it faster to charge the device. For those who need USB port however, this is also one of 2016 MacBook Pro disadvantages to consider. With 2016 MacBook Pro, extra advantages can be seen in longer battery life. The key reason to the battery life improvements is the new processor. 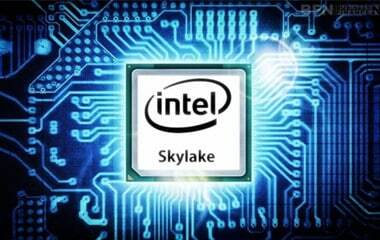 As Skylake will boost the CPU speed by around 20%, it also increases battery life by up to 30%. 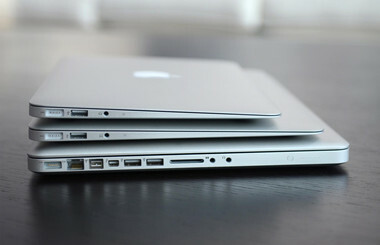 The current MacBook Pro has a battery life of 10 hours of web browsing and MacBook Air has a 12 hours. It is expected that the battery life will be increased to the same in 2016 MacBook Pro as MacBook Air. All the new upgrades are perfect set for playing games as well as watching movies. As MacBook Pro is equipped with the fastest configuration, it deserves fastest movie downloader. MacX Video Converter Pro, the world's quickest and multifunctional movie downloader is for you. It free download movies in 360 VR, 4K, HD/SD, Bluray, 3D from YouTube, Vimeo, Vevo, 1000 more sites, convert videos among digital formats for iPhone, iPad, Android, all with world's No.1 speed and high quality. MacBook Pro 2016 comes with various distinct benefits mentioned above, and will obviously comes at hefty prices, which is among the biggest disadvantages of MacBook Pro 2016. The current MacBook Pro starts at £899 ($1,099) for the 13-inch non-Retina model, going up to £999 ($1,119) for the entry-level 13-inch Retina MacBook Pro and topping out at £1,999 ($2,099) for the 2.5GHz 15-inch Retina. The new 2016 13-inch Macbook Pro with no Touch Bar starts at $1,500, with Touch Bar starts at $1,800, and the 15-inch starts at $2,400. MacBook Pro comes with USB-C port without MagSafe. In the benefits of MacBook Pro 2016 section, we have talked that the new Thunderbolt 3 USB-C port will make data transfer and power charging faster. Apparently, this would be a new standard for MacBook ports in the further, with power, video, USB and Thunderbolt all sharing the same ports. However, the drawback is, if users want to charge the device and connect it to USB drive simultaneously, you may need additional adapter. 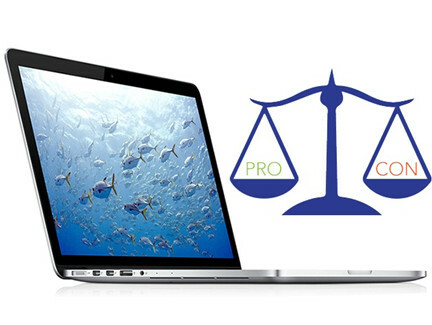 Verdict: Apparently, from the above 2016 MacBook Pro advantages and disadvantages, we can come to a conclusion that MacBook Pro is definitely worth your buy. With Intel Skylake processors, thinner design, OLED touch bar and Touch ID, USB-C with Thunderbolts 3, longer battery life and many more new features, especially the new Skylake processor, which is claimed as the biggest PC innovations for the last 10 years by Intel, 2016 MacBook Pro will be a hit Mac upgrade. Sure, for those who want an elegant computer at better price, the current MacBook Pro with Retina display is also a good choice.